Intro: A 750ml bottle with no clear bottled on or best before date. Poured into a MBCC 2018 stemmed tasting glass. Appearance: Black in colour with only a very thin mocha brown head that stuck around throughout while leaving some nice lacing. Aroma: Chocolate, caramel and vanilla dominate with hints of coconut and roastiness. A bit like chocolate ice cream with chocolate sauce. 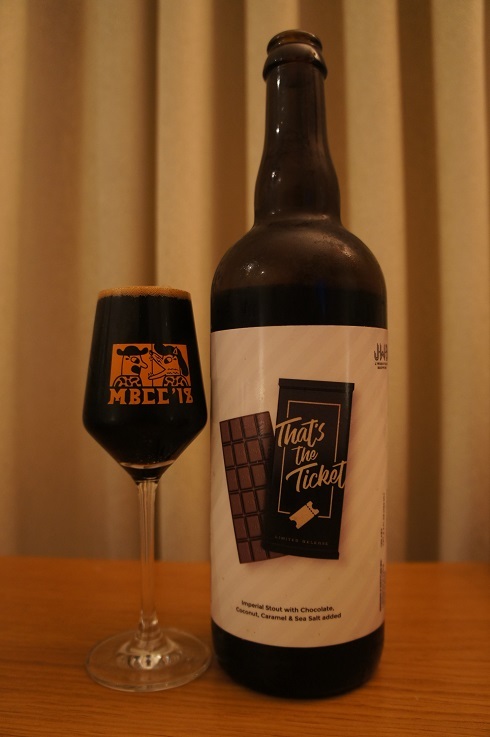 Taste: Chocolate and sea salt are strong, cacao, vanilla, lightly bitter dark chocolate, and hints of coconut, caramel and alcohol poking through. Mouthfeel: Extremely creamy, full bodied, with low carbonation. Overall: I thought that the sea salt was too strong. 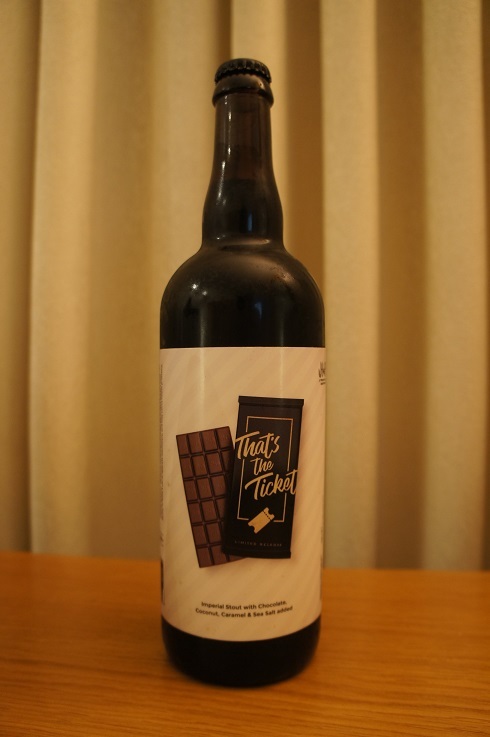 Normally I love caramel salted chocolate, but in this case, the strong sea salt combined with the booze and maybe even the light bitterness just didn’t work together as well as it could have for me. Previous PostMikkeller Baghaven I Would Not Feel So All AloneNext PostThe Bruery x Funky Buddha ¡Guava Libre!